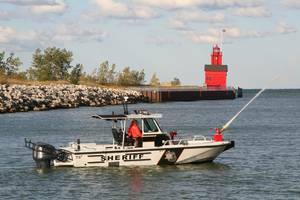 Simrad Yachting, a leader in the design and manufacture of world-class marine navigation, autopilot, radar, communications and fishfinding systems, announced today its partnership with Maverick Boat Company. 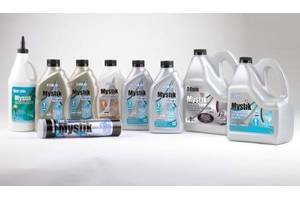 Houston-based supplier Mystik informs that its lubricants will now be available in a wider range of 4-cycle FC-W marine engine oil viscosity grades, including full synthetics 10W-30 and 10W-40 as well as the new synthetic blends 25W-40 and 25W-50. 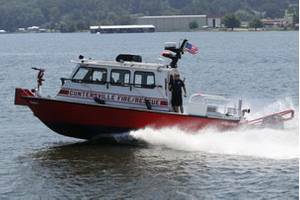 SeaArk Boat for Guntersville Fire Department, Ala.
SeaArk Marine, Inc. has delivered a 30-ft Enforcer Series all-welded aluminum fire/rescue boat to the Guntersville, Ala. Fire Department. 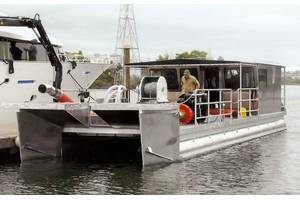 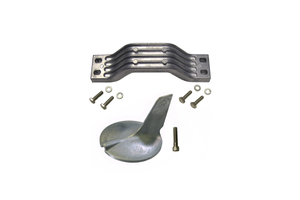 The boat features a modified vee, constant deadrise hull that produces a smooth, dry and stable ride.